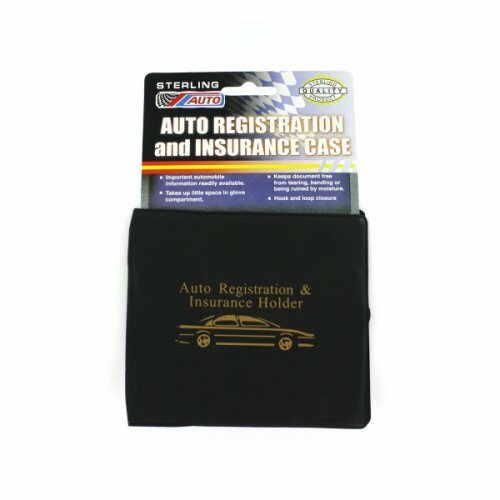 Perfect for keeping important automobile information readily available, this Auto Registration and Insurance Case features a black vinyl car document wallet with an auto and writing in gold on the cover. Measures approximately 5 1/8" x 4 5/8" and is flat until filled. A hook and loop closure holds documents safe within the 2 inner clear pockets. Comes packaged on a hanging panel.